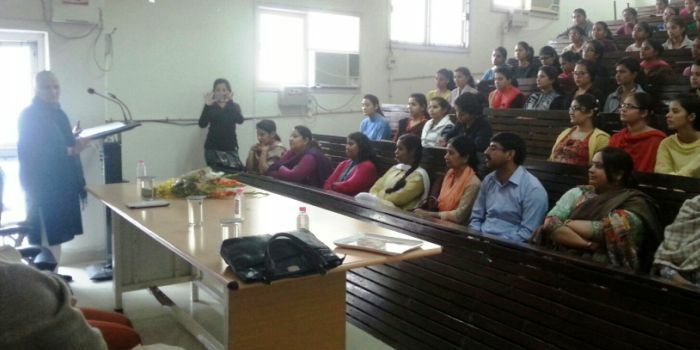 Constitution Day was celebrated in the college today. 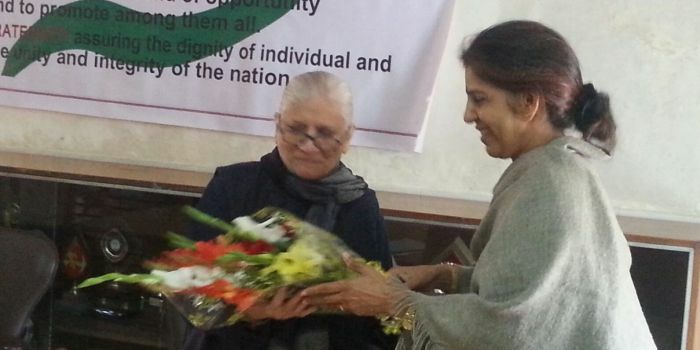 Ms Pam Rajput- a prominent social activist and retired Professor from Panjab University, Chandigarh delivered a lecture on the importance of constitution. The students and faculty members from departments of Political Science, Public Administration and the NSS volunteers read the preamble together and pledged to work hard to protect and propagate the spirit of the constitution.